You know what you really need whenever you buy a new car? A matching watch! Luckily, if you have a few hundred thousand dollars just burning a hole in your pocket, then this dream could become a reality. Who doesn’t want a free watch with their special edition Aston Martin?! This is how you can get your hands on one. Back in October 2018, pictures were leaked of the upcoming special edition Aston Martin – the DBS Superleggeras. While not much was known about the new car at the time, it’s come to light that some of them will be made to celebrate Aston Martin’s partnership with one very special watchmaker – Tag Heuer. Just 50 of these special edition cars will be created, which probably explains why they cost a small fortune to own. However, your money will be worth it, when you also get a free watch. Yep, if you can splash the cash and afford the $390,000 Aston Martin DBS Superleggeras, then you’ll also be treated to something very special – a limited edition Tag Heuer DBS Edition Carrera Heuer 02 watch. After all, if you’ve spent all that money on a car, you don’t want to be driving it with a cheap timepiece on your arm. If that wasn’t all, each of these special edition cars will undertake a personal inspection from Andy Palmer, the CEO of Aston Martin, before it gets shipped to you. Okay, that’s kind of cool. Of course, there are plenty of people out there that would spend so much on a car (and not just for the free watch). So, what kind of vehicle are we talking about for this much money? 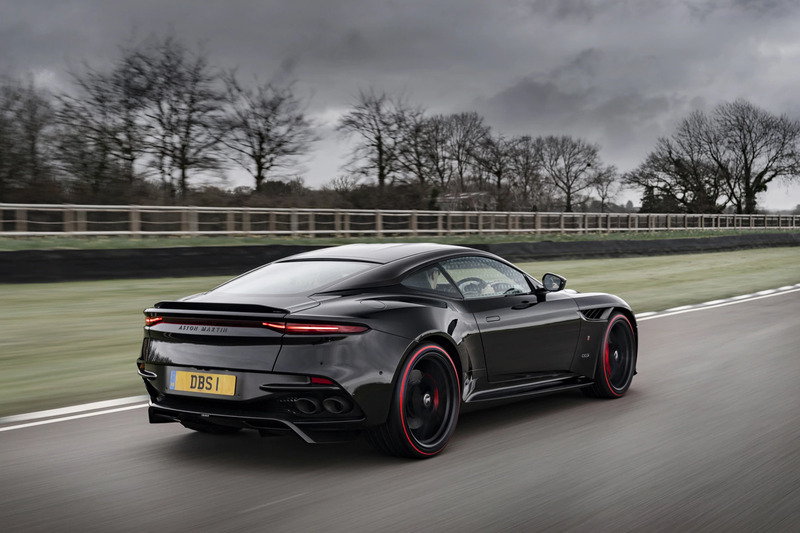 The Aston Martin Tag DBS Superleggeras has a twin-turbo V-12 engine that will provide an impressive 715 hp, with a top speed of 211 mph. The 5.2-liter engine can also propel you from nothing to 62 mph in 3.4 seconds. Did we mention it looks sleek as heck too? With its Monaco black paint and red features, it complements the Tag Heuer watch perfectly.